The NHS trust's annual quality accounts report was criticised for using acronyms people outside the medical profession wouldn't understand. The Mid Yorkshire Hospitals NHS Trust released a draft of its annual quality account report earlier this month. The trust, which runs Pinderfields Hospital, said it would make the report's final version easier to read. The report offers a statistical breakdown of the trust's performance over the last 12 month across several aspects of patient care. 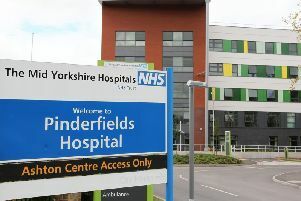 But the trust, which runs Pinderfields, Pontefract and Dewsbury Hospitals, has been asked by councillors to reduce the number of acronyms in the 97-page report, which they said were meaningless to anyone outside of a medical profession. CQUINS and WYUC are among the terms used, with the chair of Wakefield's health scrutiny committee, Councillor Betty Rhodes, suggesting that members of the public would struggle to make sense of it. Speaking at a committee meeting on Thursday, fellow councillor Kevin Swift told the trust's director of nursing, David Melia: "I know you've got a national template, but then there's the question of, "Who's it actually aimed at?" Councillor Kevin Swift said readers would have to check a glossary "five or six times a page" to understand it. "The one thing that does jump out is the sheer number of acronyms. If you were to check a glossary every time you came across a term you didn't know, you'd be checking five or six times a page. "Even though I know it's tedious for the professionals, it would probably be better to err on the side of writing things out in full." Mr Melia acknowledged the concerns, and said the report did read, "like a Scrabble board". 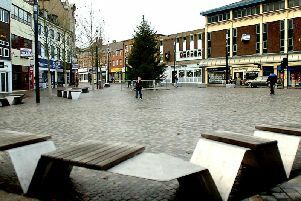 The trust said that changes would be made to the report's final version before it is published in several weeks' time.